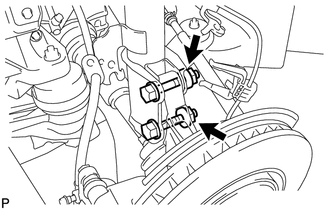 (a) Loosen the front suspension support nut of the front shock absorber. 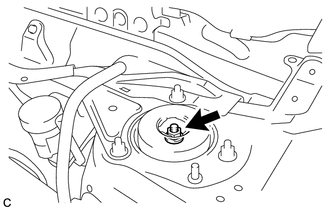 Do not remove the front suspension support nut. 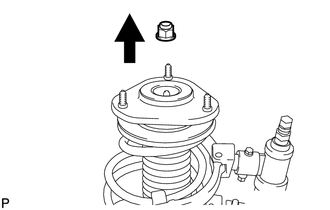 Loosen the nut only when the front shock absorber with coil spring needs to be disassembled. 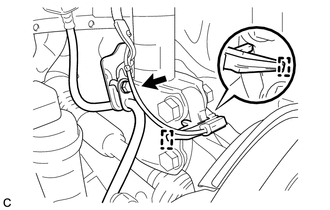 (a) Disengage the 2 clamps and separate the wiper wire harness from the outer cowl top panel sub-assembly. 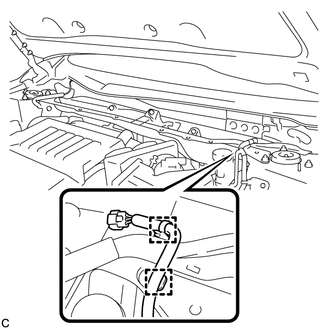 (b) Disengage the 2 clamps and connector, and separate the wire harness from the outer cowl top panel sub-assembly (w/ Windshield Deicer). 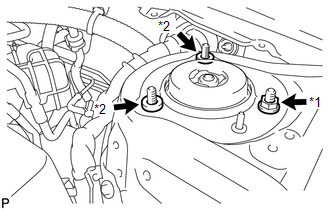 (c) Remove the 4 bolts, 4 nuts and outer cowl top panel sub-assembly. 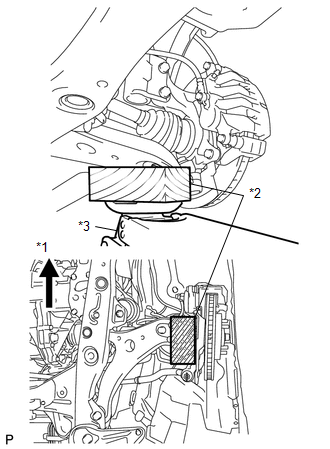 (a) Remove the bolt and clamp, and separate the front speed sensor and front flexible hose. 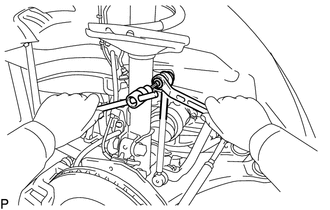 (a) Remove the nut and separate the front stabilizer link assembly from the front shock absorber. (a) Support the front axle using a jack and wooden block. 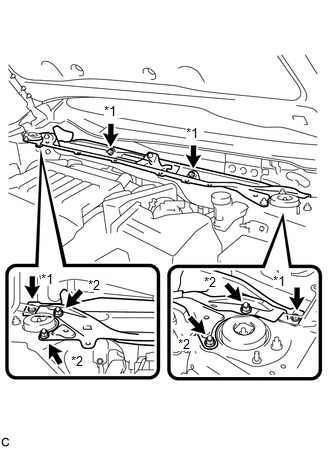 (b) Remove the 2 bolts and 2 nuts, and separate the front shock absorber with coil spring (lower side) from the steering knuckle. (c) Remove the nut and 2 spacers on the front shock absorber with coil spring (upper side). 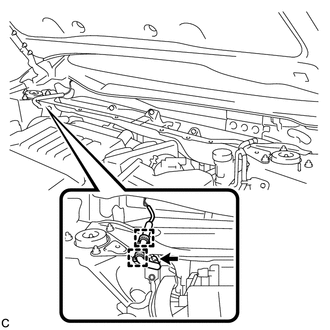 Make sure that the front speed sensor is completely separated from the front shock absorber with coil spring. 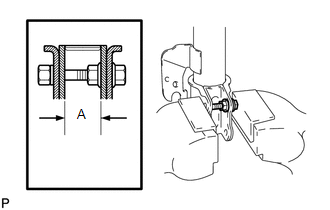 (b) Install the bolt and nut to the front shock absorber as shown in the illustration and secure the front shock absorber in a vise using aluminum plates. 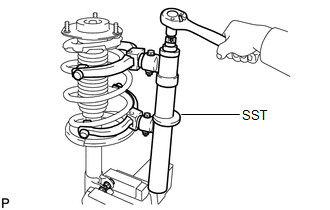 (a) Using SST, compress the front coil spring. 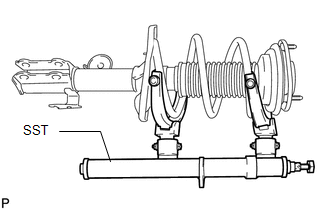 If the front coil spring is compressed at an angle, using 2 SST will make the work easier. (b) Check that the front coil spring is fully compressed. (c) Remove the front suspension support nut.